There are only two real issues with jacking a 4C up, the first is getting the jack under the car and you must make sure that the jack or ramp pads are in good condition with NO sharp edges which will damage the carbon fibre tub. 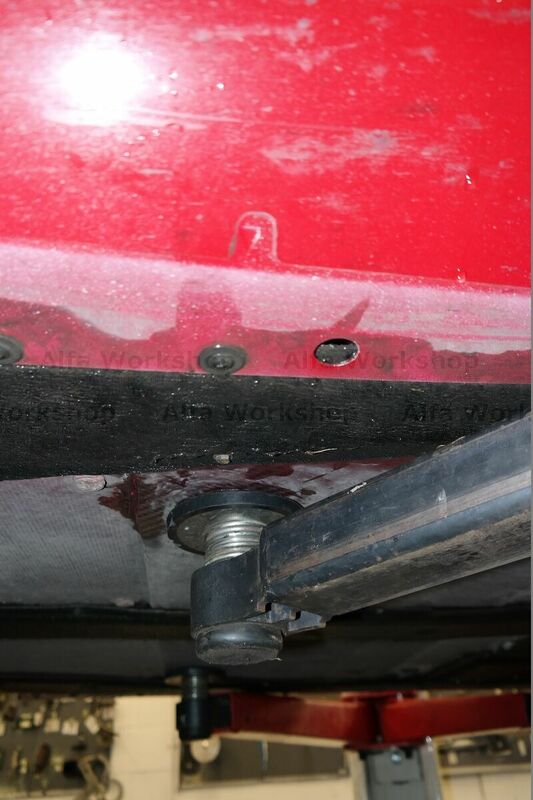 Front jacking point, note the triangular mark on the sill (red) that denotes its position, then there is a small section of under body protection (black) and then the carbon tub, note the change in texture of the tub where you need to put the jack, the jack goes on the smooth surface. It is also imperative make sure that as you lift the vehicle the ramp leg does not touch the sill. Remember if you are using a ramp to lift the car you need to put the car on the ramp with the SHORT arms to the rear of the car.